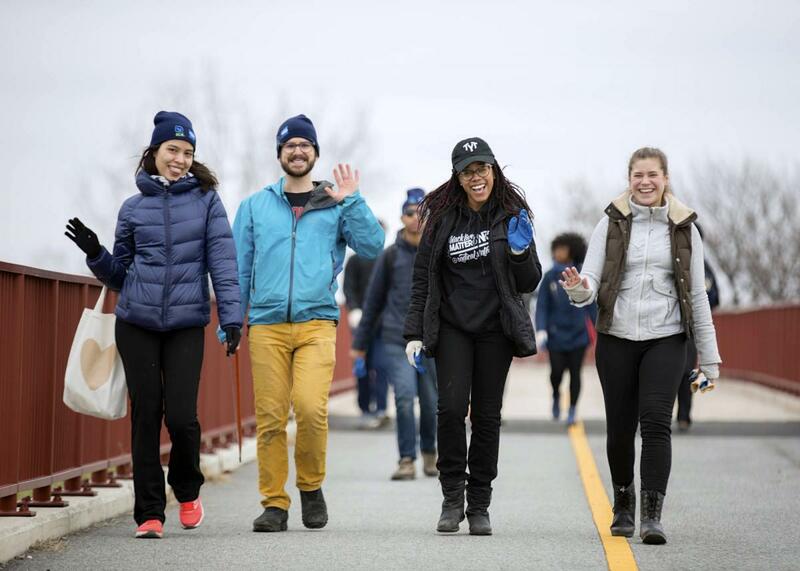 With the support of American Express, SCA brought out record numbers across the country to honor the MLK National Day of Service — catching the attention of the Washington Post and Youth Today. 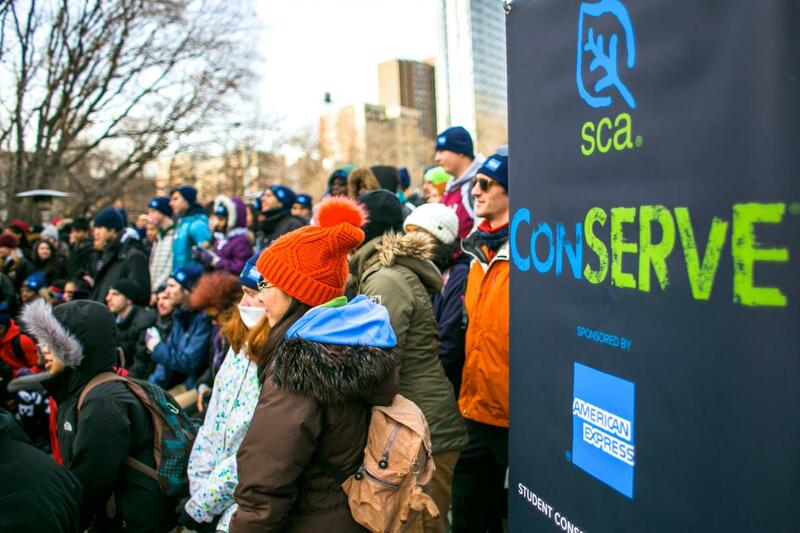 In New York City, San Francisco, Seattle, Pittsburgh, and Washington DC, more than 1200 SCA ConSERVE volunteers mobilized to recognize MLK Day as a #DayOnNotDayOff and connect the ideals of social and environmental justice. 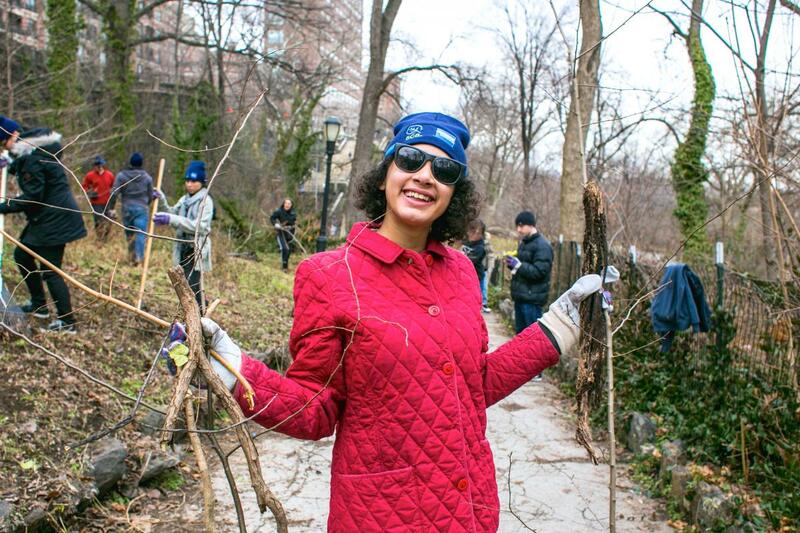 SCA kicked off the MLK Day weekend by bringing out more than 450 volunteers in New York to transform a local green space in Harlem. 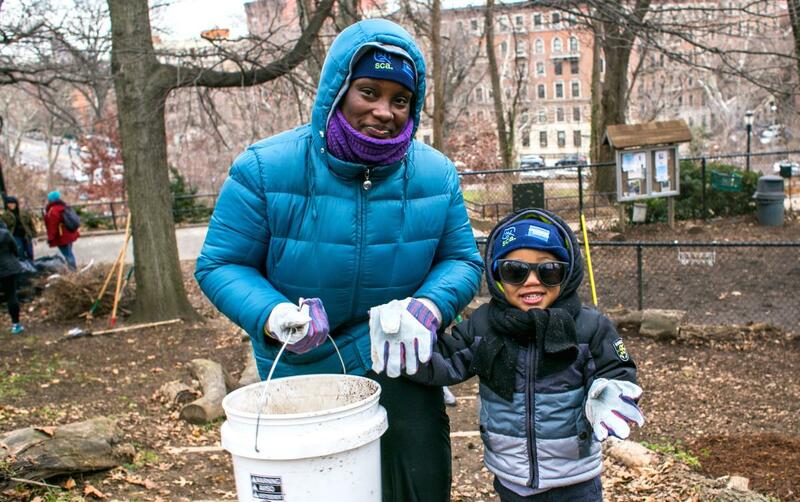 Working with NYC Parks, volunteers took to the slopes of Morningside Park to cut back invasive vines and weed trees overtaking the park’s historic stone walls, and cleared weeds and trash from the park’s playgrounds and gardens. SCA was honored to welcome Richard Brown of American Express and Deputy Commissioner Liam Kavanagh of NYC Parks, who brought their families out to work side-by-side with local community members on the project. Urban Radio 103.9 also brought their street team out to celebrate and promote the event. Meanwhile, on the West Coast, 100 more SCA volunteers gathered to celebrate MLK Day by restoring local parks in San Francisco and Seattle. In the Bay Area, SCA teamed up with San Francisco Recreation & Parks to yank invasive plants and clear downed tree limbs at iconic Golden Gate Park. In Seattle, volunteers joined Green Seattle in an ongoing restoration project at Maplewood Playfield, forming a bucket brigade to spread mulch and wood chips to protect native gardens for the winter. And in Pittsburgh, 50 volunteers joined up at the Energy Innovation Center to build benches and planter boxes for installation in the spring. 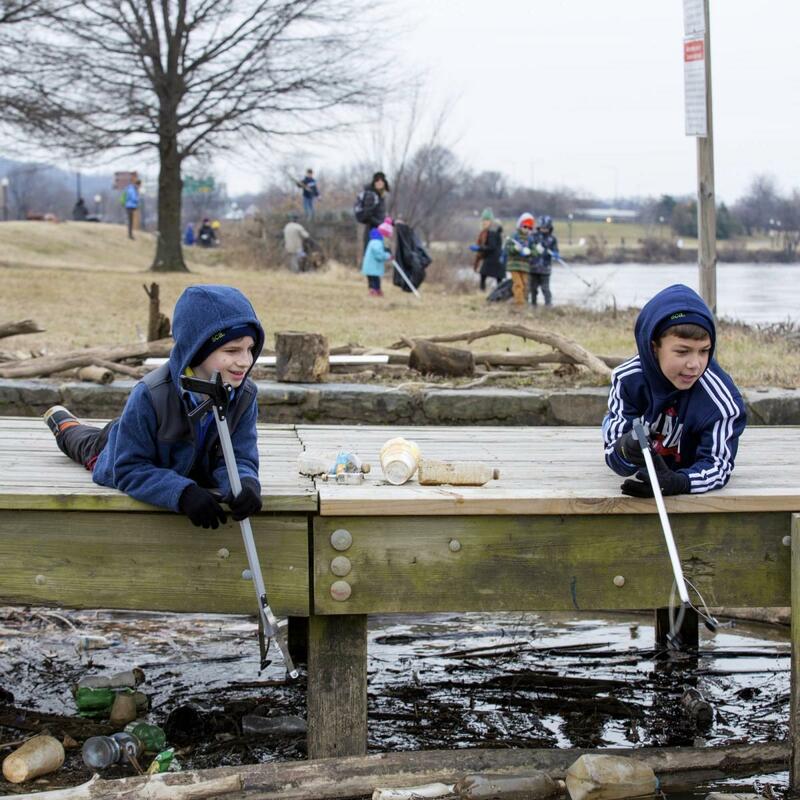 SCA closed out MLK Day weekend by bringing out more than 650 volunteers for a massive cleanup of the Anacostia River in DC, surpassing numbers for all previous years’ events. 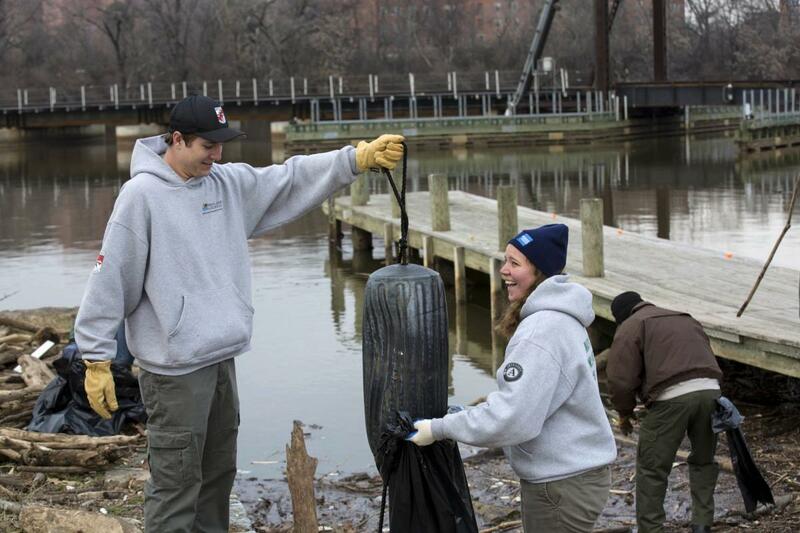 Working with the National Park Service for the third consecutive year at Anacostia Park, SCA deployed volunteers along three miles of waterfront to remove invasive honeysuckle and debris from along the river — preventing over five tons of trash from continuing on to impact Chesapeake Bay and the 176 square miles of the Anacostia Watershed. Corporation for National and Community Service (CNCS) Senior Advisor Sandy Scott joined the day to work side-by-side with AmeriCorps members and other volunteers. … and thanks to San Francisco Recreation & Parks, Green Seattle, Pittsburgh’s Energy Innovation Center, Enovity, Jefferson High School, Sonoma State University, University of San Francisco, and all our community partners who joined us at other events across the country. See more photos from the NYC Event and DC Event on Facebook and stay tuned at www.thesca.org/events for updates on coming events.